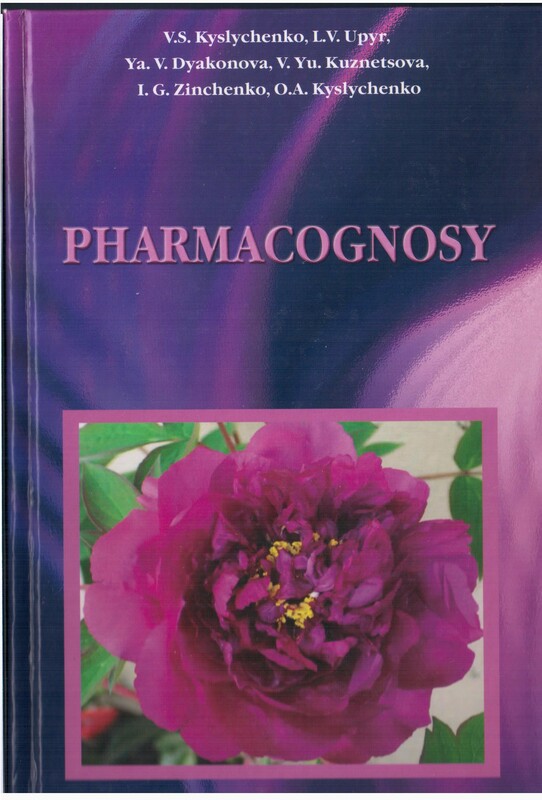 Pharmacognosy: textbook for higher school students / V.S. Kyslychenko, L.V. Upyr, Ya.V. Dyakonova, V.Yu. Kuznetsova, I.G. Zinchenko, O.A. Kyslychenko; ed. byV.S. Kyslychenko. – Kharkiv : NUPh : GoldenPages, 2011. – 552 p.; il. 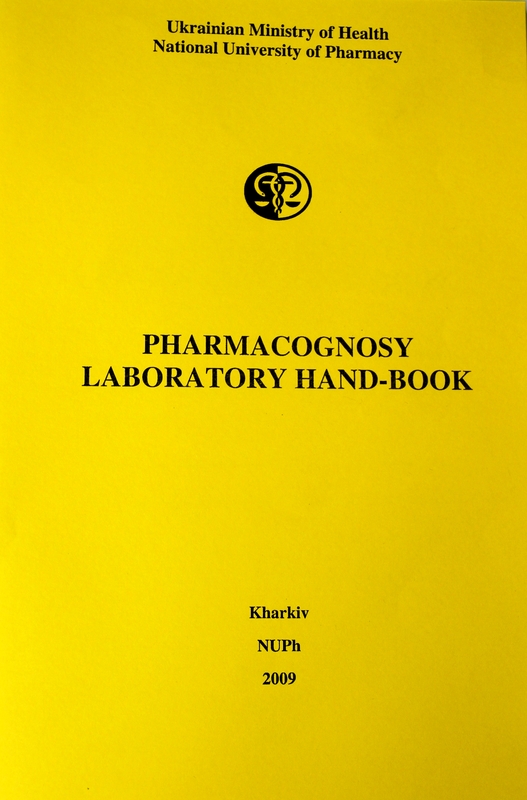 The first Ukrainian textbook on Pharmacognosy in English, prepared in accordance with program Master of Pharmacy. The book describes the main classes of biologically active substances – their current classification, chemical structure, distribution in the plant world, methods of isolation and identification, the relationship of chemical structure and biological activity of natural compounds. For the first time side effects of herbs and phytomedicines and pharmaceutical care were added to the textbook. Since insufficient support students of necessary educational literaturein English, this tutorial will serve as the main book for English-speaking students. It is intended for the teachers, postgraduate students and students. 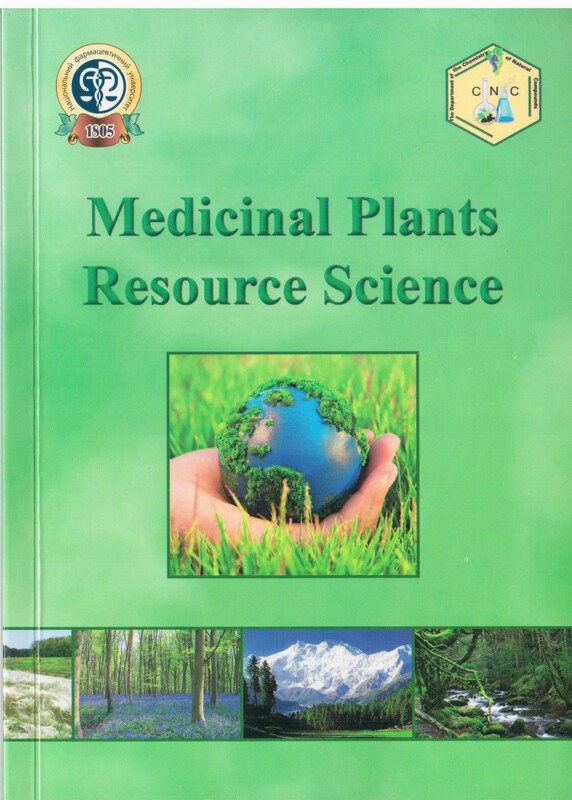 Medicinal plants resource science : handbook for students of higher schools / V.S. Kyslychenko, L.V. Upyr, I.G. Zinchenko, O.A. Kyslychenko, S.I. Stepanova; ed. by V.S. Kyslychenko. – Kharkiv : NUPh : Golden Pages, 2012. 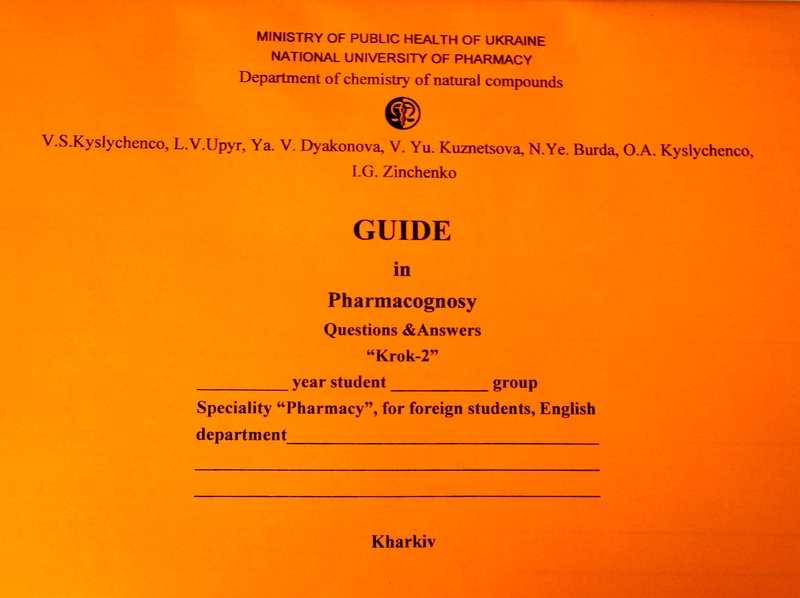 – 168 p.
The first Ukrainian handbook on resource science of medicinal plants in English prepared in accordance with Master of Pharmacy programme. The book describes the contemporary tendencies in plant conservation at regional and international levels, the ways of obtaining the plant material from wild or cultivated plants, the methods of estimating the resource amount and organization of expeditions. For the first time a taxonomic approach to the study of medicinal plants was added to the handbook. This book gives the list of the necessary educational literature in English, and will serve as the basic source of information for the course of resource science of medicinal plants. It is intended for teachers, postgraduate students and students. Pharmacognosy. Laboratory hand-book / V.S. Kyslychenko, I.G. Gurieva, V. Yu. Kuznetsova, L.V. Lenchyk, I.O. Zhuravel, O.A. Kyslychenko, V.V. Velma / edited by V.S. Kyslychenko. Kharkov: Rider, 2017. – 136 p.
5. Resource science. Copy-book / V.S. Kyslychenko, L.V. Lenchyk, I.G. Gurieva, O.A. Kyslychenko // Kharkov: Rayder, 2016. – 26 p.